While you can invest in any type of security using your Roth savings, it makes perfect sense when you park the funds in real estate investment trusts, target-date funds, or a broad market index fund as these investments tend to generate a rich dividend and are taxed at ordinary rates. If you have a traditional IRA or you invest in a 401(k) plan, don’t ignore a Roth conversion as it can make a massive difference if you still have a long time to go for retirement. The earlier you convert; the less tax you pay! Contribution limits are constantly adjusted to keep pace with the rising cost of living. You can also make a catch-up contribution if you have crossed 50 and max out as much as $6, 500 every year. Start investing as much as you can and build a bigger reserve for your retirement. Even a thousand dollar raise in the annual contribution that grows by 10% every year, can earn you a pretty good amount at the end of 25 years, for example when you go from $4,500 to $5, 500, your returns go from $487,000 to $595,000. Keep contributing more and you will end up with a much bigger nest when you retire. Early withdrawals can attract a 10% penalty so don’t use your Roth IRA for emergencies. You may withdraw your contributions without attracting a penalty, but definitely not your earnings. Even if you plan to withdraw your contributions, be sure to act fast and pay back to retain their returns. If your emergency is arising out of a short-term cash flow problem, you can easily repay the withdrawal and refill your Roth IRA. If you are young and have a long-time to go befor retirement, converting your traditional IRA into a Roth IRA makes a smart move. 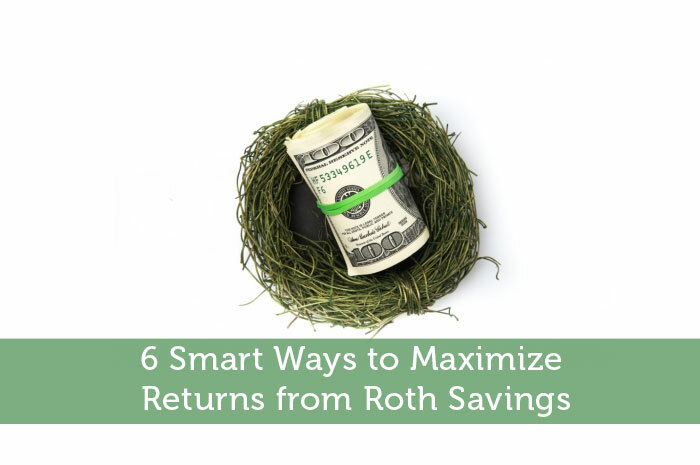 Make the most of a long growth period and enjoy tax-free withdrawals with a Roth. Got a raise? Don’t splurge it on momentary pleasures. That dream vacation or that luxury car can wait for a while. Take a big leap with that extra cash and boost your Roth IRA savings. Whether you have just begun or you are nearly done, it is never too late to nurture your nest egg. If you wish to enjoy compounded growth without subjecting your withdrawals to tax, meet your employer’s match and make the most of the catch-up contribution. Annual contributions play a key role in boosting your retirement kitty, so be consistent with your contribution and enjoy incredible returns when you retire.